Two artists met. They found that they had something in common. Something to create and something to share and they wanted to say it together. The result of the cooperation between the two has created the "CREATION No. 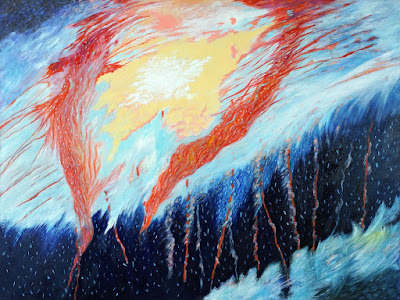 4", an original large abstract oil on canvas painting by Daniel Heller and Elisaveta Sivas.